Landmark Construction is proud to begin construction on another valuable UC Davis research and conservation facility, the Fish Conservation and Culture Lab in Byron, CA. Together with Pressey & Associates, Landmark Construction has begun the careful dance of demolition, replacing piping, building labs, and expansion and renovation of much of the facility – all while the facility remains in full operation. Construction is scheduled to be completed by October of this year. 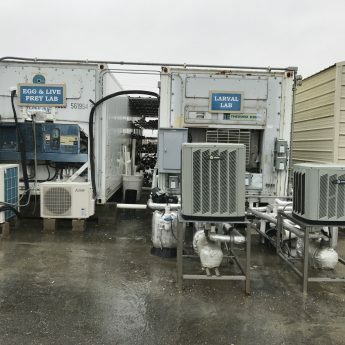 The renovation and expansion of the FCCL Facility includes major improvements: new spawning and rearing tanks, replacing the drainage system, installing a new electrical service, improvements to water intake, pumping, and filtering systems. 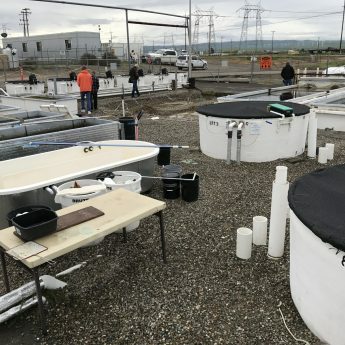 Also included are new systems which will provide water pretreatment, filtration and conditioning as well as systems for final treatment and filtration to benefit fish care. In addition, a new 5,200 sqft. office space will be built for Davis staff. The funding for this project is part of a $10M grant the U.S. Bureau of Reclamation awarded to U.C. Davis over the next four years to save the Delta Smelt from extinction. The FCCL is working hard to culture a viable population of Delta Smelt through spawning captive smelt with wild to keep the population in the facility as close to that in the wild. The process is quite complex, but the outcome is very valuable. Concerns about the extinction of the Delta Smelt have been said to be indicators of the health of the Delta. The decrease in smelt population is directly related to one of the worst droughts in history. Justin Barr, Landmark’s Project Manager for the FCCL Facility speaks for our Landmark team: “We are excited and grateful for the opportunity to partner with UC Davis and Pressey Associates to play a role in protecting this crucial species. 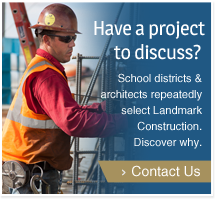 A special thanks to the other members of the Landmark Team – Steve Story (Superintendent), Eric Boehringer (Project Engineer) and Bill Freymond (Estimator) for their efforts to ensure the success of this project. “ Landmark is honored to play a small part in the conservation of such a small but mighty little fish.